The Valletta 2018 Foundation, together with Tikka Banda, presents ‘#Ġaħan18: Niftħu l-Bieb ma’ Ġaħan’, an interactive and educational show for the whole family. A number of shows will be taking place in different locations in Malta and Gozo during May. #Ġaħan18 is an initiative by the dynamic music group, Tikka Banda. It explores traditional games and music through an interactive performance which takes the audience on a journey across the different cultures of our neighbouring countries, while also creating environmental awareness by using recycled materials as musical instruments. 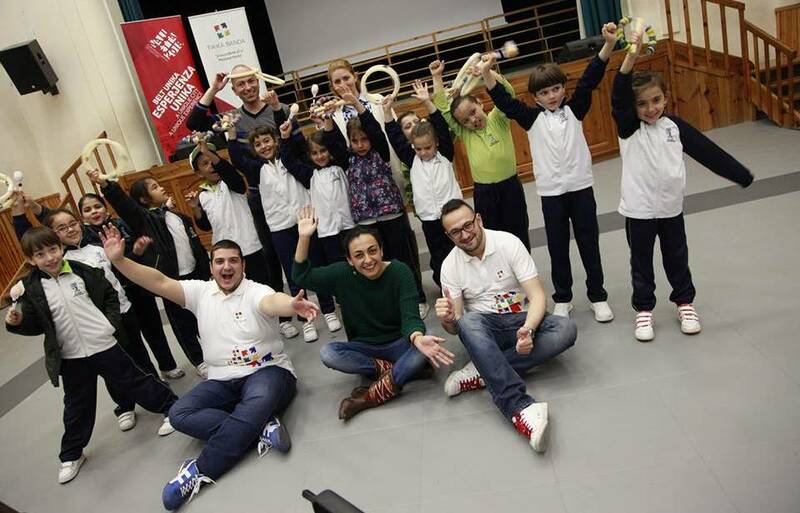 The project started off after last year’s edition of the Valletta Green Festival, when the band introduced #barralklassi – an interactive project aimed at encouraging young children to embrace and appreciate music. #Ġaħan18 is under the artistic direction of Justin Formosa, aided by Project Coordinator, Jessica Ellul, and script writer, Andrea Cassar. The performances are aimed at children between three and ten years of age, and will also be open for schools, however, everyone is invited to attend. Each performance is half an hour long, and will take place three times in each respective location. #Ġaħan18 launches in May 2018 in five different locations in various regions around Malta and Gozo, including Cospicua, Mellieħa, Lija, Qormi and Sannat (Gozo). For further details visit valletta2018.org and TikkaBanda on Facebook.